Now Live - Go There Now..!! Debate in the HeadRoom now! How should the world summit tackle the problem? 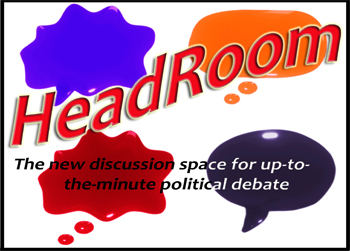 HeadsUp is a moderated, online space for under 18s to debate the political issues important to them. Young people share viewpoints with their peers and decision-makers up and down the country. Through the forums, HeadsUp develops young people's political awareness and promotes active citizenship so they can play an effective part in the democratic processes that affect them. 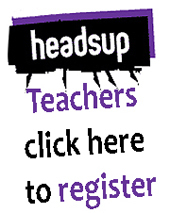 HeadsUp enables politicians to consult with young people, to find out their ideas, experiences and opinions. There is ample background information to prepare students for debates as well as teachers’ notes and activities. The site is run by the cross party, independent and politically neutral Hansard Society, with sponsorship for the 2008 - 09 academic year from the Ministry of Justice (MOJ) and the House of Commons. Each forum is supported by comprehensive teachers notes. You can still use the teachers resources even when the forums are over. To view all the teachers notes click here. 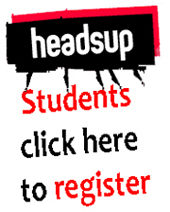 HeadsUp student newsletter - sign up NOW!! Like HeadsUp and want to get all the information as soon as it's available? Sign up for the student newsletter here. We'll send updates now and again so you wont miss any HeadsUp goodies! What happens after the results of your debates were passed on to the politicians and government ministers? 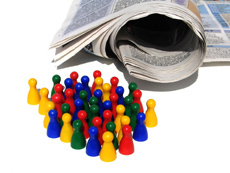 HeadsOn (the orange bit) is the place to get a hold of all the latest forum feedback and reports.